By Ianthe H. Hoskins (1912-2001). 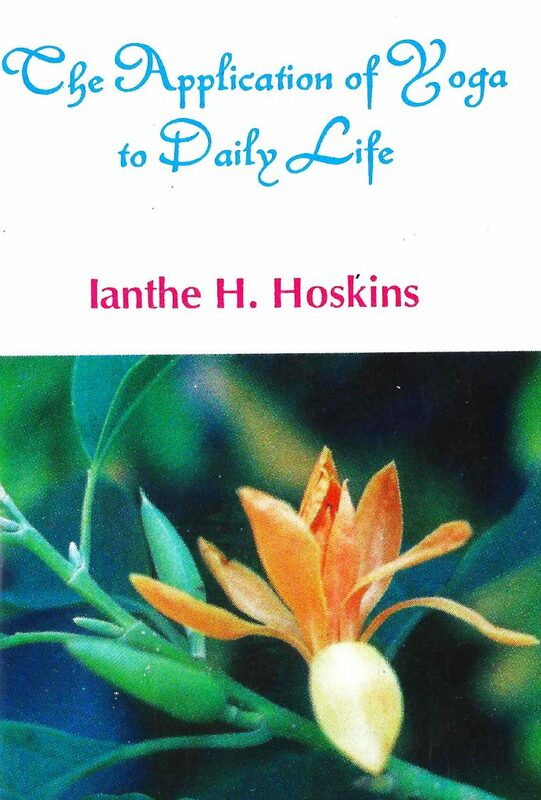 37 Pages | Printed July 2000 | Softcover | The Theosophical Publishing House, London | No ISBN. Ianthe Hoskins joined The Theosophical Society in 1936, and later served for two periods (1972-1978 and 1989-1992) as General Secretary of the English Section. As an international lecturer she has travelled widely, lecturing in English, French, Spanish and German, and conducting study courses at the International Headquarters at Adyar and in several Sections around the world. For a number of years she has been a member of the General Council (the governing body of the Society). Outside the Society, she is well known in the Yoga movement, speaking particularly on Vedanta. In dit zevende deel van de Adyar-reeks zijn enkele sleutelpassages samengebracht uit het zeer omvangrijke oeuvre van H.P. Blavatsky (1831-1891), de grondlegster van de theosofische beweging en auteur van theosofische standaardwerken als Isis Ontsluierd (1877) en De Geheime Leer(1888). De lezer kan zo in kort bestek kennis nemen van deze diepzinnige esoterische filosofie. Zoals het zand, dat op zichzelf vormloos is, door de wind wordt beroerd en als gevolg daarvan een oneindige rijkdom aan patronen te zien geeft, zo zijn alle dingen voortgekomen uit een samenspel van stof en geest. Dit tweevoud van stof en geest is voortgekomen uit het Ene. Miss Ianthe Hoskins was onder meer algemeen-secretaris van de Engelse Afdeling van de Theosophical Society (Adyar). Zij heeft in vele landen seminars over diverse theosofische onderwerpen geleid. By Ianthe H. Hoskins (1912 – 2001). 60 Pages | First edition 1994, second reprint 2004 | Softcover | Theosophical Publishing House, Adyar | ISBN: 8170592399. 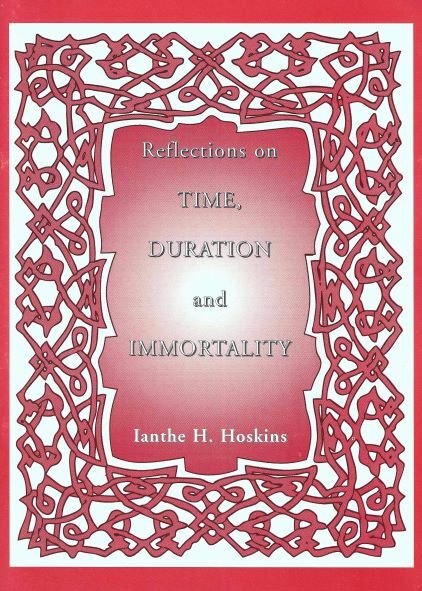 Ianthe H. Hoskins was a teacher by profession, who also had several years of experience in teacher-training. Her work for the Theosophical Society has been varied, including administration of the English Section of the Society, writing lecture around the world and talks to those interested in the philosophy of Yoga and Vedanta. ” These notes offer an introduction to the theoretical and practical study of yoga. Among the explanatory statements given here, of especial importance are the words ‘self-applied in an individual case’. In modern parlance, yoga is a ‘do-it-yourself’ science. Unless this is understood from the beginning, it is useless to embark on the study. Hidden treasure, says the Viveka-chudamani, does not come out at the mere mention of the word ‘out’: there must be reliable information, digging and the removal of stones. Similarly, the treasure of the Divine Indwelling – the goal of yoga – is not attained without the instruction of Wise Teachers, feminine or masculine, accompanied by the discplines of the yogic life. The notes are intended to be used in conjunction with one – or preferably more than one – translation of The Yoga Sutras of Patanjali. Some recommended versions are given at the end, together with a short reading list. By Helena Petrovna Blavatksy (1831 – 1891) with a foreword and notes by Ianthe H. Hoskins (1912 – 2001). 84 Pages | First Adyar Edition, Fifth reprint 2012 | Softcover | Theosophical Publishing House, Adyar. | ISBN: 9788170592211. 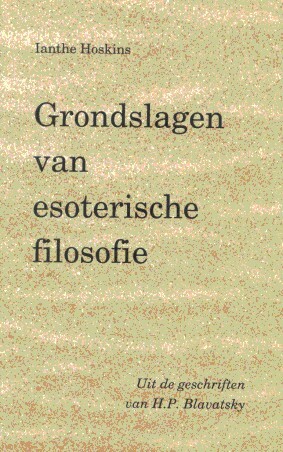 Dutch translation: Grondslagen van de Esoterische Filosofie – Uit de Geschriften van H.P. Blavatsky (1992), Uitgeverij der Theosofische Vereniging in Nederland. Some of the most important statements from the voluminous writings of Madame Blavatsky have been extracted and put together in this little book. 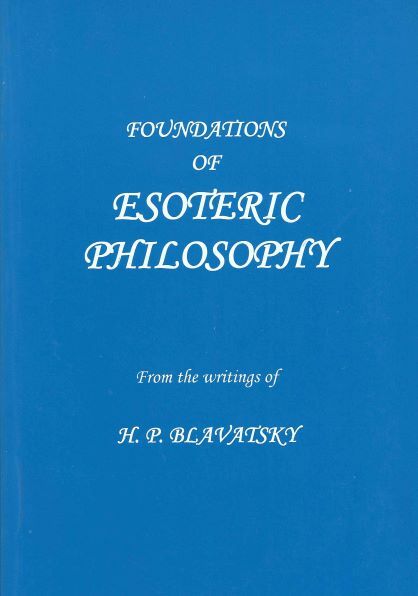 It is a valuable introduction to the main teachings of the Ancient Wisdom, which Blavatsky said was the common spiritual heritage of humanity. Each passage is briefly introduced by Miss Hoskins, who has added short glossary of terms as an appendix. For the inquirer, who wishes to learn the fundamental principles underlying the universal Wisdom tradition, this compilation is a stepping stone, but for more ardent students there is material for deep reflection and meditation. ” To sum up all in a few words, MAGIC is spiritual WISDOM; Nature, the material ally, pupil and servant of the magician. One common vital principle pervades all things, and this is controllable by the perfected human will. The Adept can stimulate the movements of the natural forces in plants and animals in a preternatural degree. Such experiments are not obstructions of Nature, but quickenings; the conditions of intenser vital action are given. 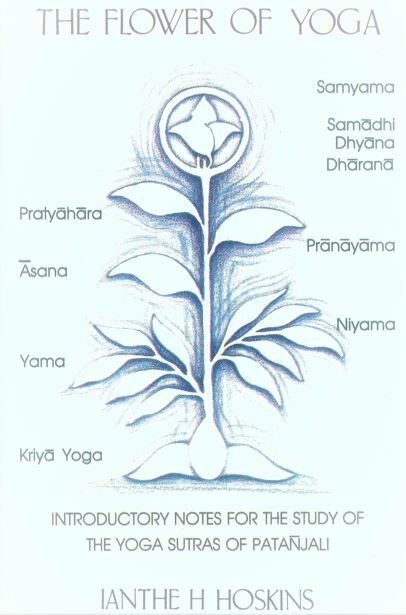 The notes in this Adyar Mini Booklet are intended as an introduction to the deeper study of the Yoga Sutra-s of Patañjali available in various translations. For further reading, The Still Mind by Roy Agard and Rāja Yoga – A Practical Course by Wallace Slater, are recommended.